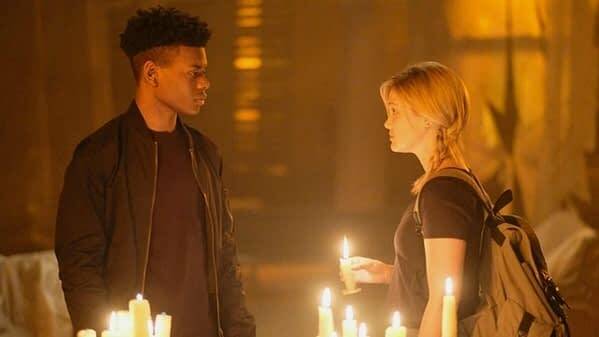 This articles contains spoilers for the Marvel’s Cloak & Dagger season one episode – Call/Response. This was kind of a strange episode in format. There’s basically three things going on and they’re taking place all at once. First we have Tyrone (Aubrey Joseph) and Tandy (Olivia Holt) finally talking and trying to figure out what is happening to them and each other. This is all taking place in the church where Tandy stays and mixed in this scene is a story line with Tandy finding out more about her mom’s boyfriend Greg (Gary Weeks) and another story line that follow Tyrone finding out a secret about his father Otis (Miles Mussenden). The episode jumps around a lot and can be a bit difficult to follow. It seems the individual stories take places after they meet. I’m going to recap the the stories individually instead of jumping back and forth. When they meet in the church, it’s tense at first and Tyrone has to convince Tandy to slow down and talk. He tells her about the vision he had while in the bath. How he saw what he guesses is her father being killed over and over again by a group of executives and how Tandy was watching and running away each time until she finally stayed and saved him. He explains that he see peoples fears when he touches them and she tells of how she sees hope. They talk about the cop that killed Tyrone’s brother Billy and Tandy suggests he gets to know the cop better, find his weaknesses. They figure out that Ty’s powers protect him and take him to see what he needs to see. And that their powers started when they touched, so the try getting as close as they can, which is “nice” until they get too close and are thrown across the church in opposite directions. They talk more, neither has told anyone else about their abilities. They open up more, about their fears and seems to be getting close until Tandy says she wished she had died instead of her dad. This sets Tyrone off about suicide and they argue. She talks about his perfect life and he reminds her that because of the way he looks, he is always questioned, that everything out there is trying to kill him. It keeps getting heated until he tells her if she so fired up to kill herself that she should just do it already. She tells him that her vision saw him committing suicide by cop over and over again. They part in anger. Following Tyrone, he goes home and the next morning tries to leave the house. He folks want him to eat breakfast with them, but he says no and leaves. At school, he ends up in the dark room with Evita (Noëlle Renée Bercy) where they kiss and she talks about not knowing which version of Tyrone is the real one. Later we see Tyrone making it look like his bike was stolen and then ditching it at the beach so he can make a police report, this is him taking Tandy’s advice about getting to know the cop and selling the story. He then heads home and he apologizes to his dad, who says that he was in a mood that morning as well. He then asked about his bolt cutters and Tyrone lies, but Otis checks his bag and finds them. He wants to know what’s going on and Tyrone tells him it’s none of his business. Otis tells him to get in the car and they drive Once there, Tyrone is told not to speak unless asked. They approach a cook out where everyone stops and stares at him. Otis starts a chant and then is confronted by the chief. This is the Wild Red Hawks of the Ninth Ward and he is welcomed back. 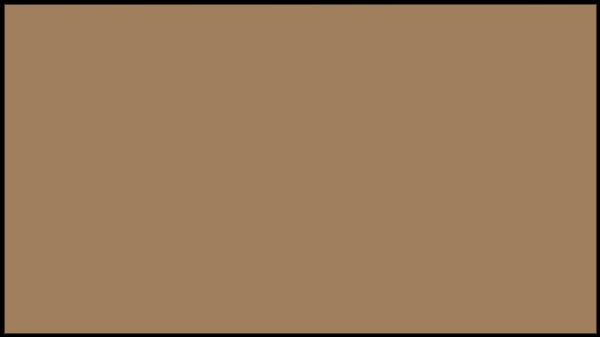 In the house, Tyrone sees his brother obituary on the wall and the chief explains that Billy was going to be their new Spy Boy before he died. Otis shows Tyrone the groups regalia and talks about how they make a new outfit each year because they’re a different person each year. And you have be exact as one mistake can make you have to undo days, weeks and months of work. But not everyone can keep at it. There is a room full of failed projects and Tyrone looks around until he finds a cloak that speaks to him. He pulls it out and Otis is shocked. It was Billy’s. Tyrone wants to finish it for Billy, make it perfect and then march with it. Otis starts showing him what to do. The next morning Tyrone has made breakfast and he’s joking with Otis when his mom comes down. Adina (Gloria Reuben) wants to know what has the so talkative, but they say nothing about the Wild Red Hawks. At the end of the episode we see Tyrone go back to the police station to talk to Detective O’Reilly. Tandy heads back to the trailer, taking coffee for her mom, Melissa (Andrea Roth). They talk about Greg and Tandy is convinced he’s like all the rest but Melissa says he’s different. Tandy just wants her mom to move on and forgetting suing Roxxon. Greg arrives with groceries and plans on cooking. Tandy sticks around and touches his hand, reading his hopes and it’s all about being with Melissa and Tandy, winning the case and moving into a house together as a family. This gives Tandy the idea that maybe Greg is a good guy. She goes to his office the next day to spy on him and sees he really is working hard on the case. She ends up pitching in and they start doing a lot of work together. She questions him about being married and he explains that it’s over except for the paperwork and he talks about really like Melissa. They go back to the trailer for dinner and Greg gets a call from his wife. This upsets Melissa enough that she leaves the table and goes to bed, breaking up with Greg the next day. Tandy tells Melissa that maybe she was wrong about Greg, but now Melissa is convinced he’s the same as all the others. Tandy goes to Greg’s office and from outside sees an assassin dressed as the water person, shoot Greg in the head and set fire to the office. Tandy goes home to tell Melissa and overhears her calling Greg to apologize, saying in the message that it was her sixth call. Tandy cries and ends up at the pier where she wraps a chain around her legs, ties her hands and jumps in the water to kill herself. But she ends up floating to the surface with a light dagger in her hand that she cut herself free with. She then goes to Greg’s office, looks over the damage then creates a light dagger to cut into his safe and retrieve the Roxxon files. I like that we got to see Tyrone and Tandy interact more and talk. I also liked that we got time with Otis and Greg. Though as soon as I saw that Greg was a good guy, I figured he was going to get killed. It never pays to be a good person in a Marvel series if you’re not one of the stars. The pace on this episode is very different than the previous ones and felt a little weird. And I’m not exactly sure what lesson Otis was trying to teach Tyrone unless he was just trying to open up to him. I loved that the cloak he found looks so much like the one in the comics. My overall opinion of the series hasn’t changed, it’s good but may be best viewed all at once. Lacks something as a weekly series.